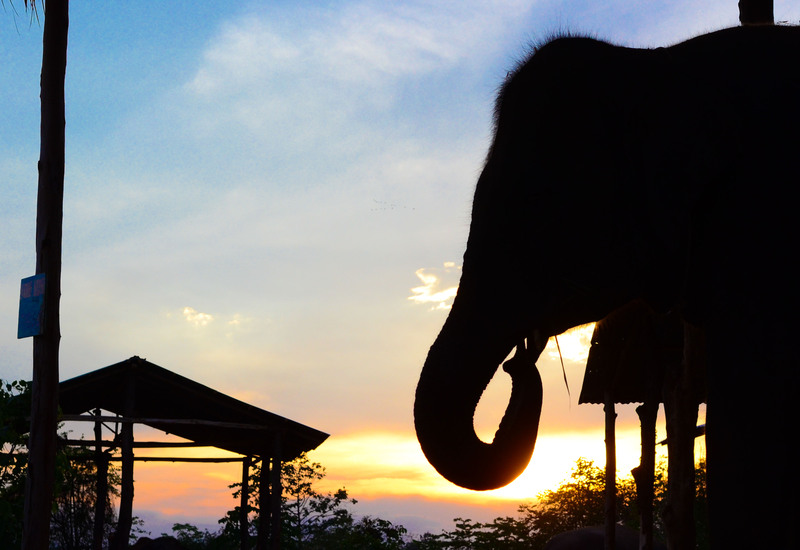 Sunsets over the Baan Tha Klang Elephant Village, home of the Surin Project, are nothing short of extraordinary. As elephants enjoy their final meal of the day, the brightly painted sky creates silhouettes of their immense figures. It’s quite the sight to behold. Here Nong Nun, a Surin Project elephant, shows off her perfect profile as the scene unfolds.